How Can I Get a Copy of My 1040? As the trend toward keeping paperless records becomes more commonplace, many taxpayers no longer keep paper file folders with copies of their paper tax returns inside. In fact, the IRS reports that 92 percent of taxpayers filed their tax returns electronically in 2018. This is a staggering increase since 2001, when only 30 percent of tax returns were filed electronically. But even if you still keep conventional paper files for your tax records, it’s often easy for an errant IRS Form W-2 (Wage and Tax Statement) to go missing. And in some cases, employers fail to provide this vital document that you need to file your tax return. Before you hit the panic button, know that a trip down one of a few digital paths will allow you to file your return without a W-2 by the filing deadline (and avoid a late-filing penalty) or help you retrieve a past year's W-2 online. Your options for how to get your old W-2 form online (or how to access your current W-2 information) hinge on the time of year you need it, how your employer maintains records and how you filed or plan to file your tax return. If you need to get a copy of your W-2 online during the current tax year, it depends on which of the following time frames you find yourself in as to how you'll proceed. Before the issuing deadline. Sometimes the longest waiting game when you're anticipating a tax refund is the stretch between the end of the tax year and the deadline by which your employer is required to issue your W-2. Although most taxpayers receive W-2s during the month of January, the IRS gives employers until Jan. 31 to issue these forms. Your employer can hand a paper W-2 form to you directly (often in your January paycheck), mail the form to you or transmit it electronically to you (for example, through your email address). Your employer also has the option of transmitting your W-2 electronically to the Social Security Administration but mailing your copy to you. If you want a digital copy, you'll have to wait until after Jan. 31 before you can start tracking it down. Between the issuing deadline and the filing deadline. If the issuing deadline has come and gone and you didn't receive your W-2, the IRS suggests waiting until Feb. 15 to allow mailed copies to reach you. But if your employer digitally transmits W-2s to its employees, the solution to retrieving yours may be as simple as asking your employer to transmit it again (after the issuing deadline of Jan. 31). Your employer may also post your W-2 on a website that's accessible to you, if you agreed to receive it this way. Your employer should notify you of the posting by Jan. 31. Even if your employer typically mails W-2s, it doesn't hurt to ask if a payroll representative would scan your copy and email it to you. Typos happen, so confirm your correct email address with your employer. And check your spam folder to make sure your W-2 isn't hiding from you. After you've filed your return. You may need a copy of your W-2 after you've filed your current year's income tax return, but you failed to save a digital copy. Loan approvals and some legal proceedings are examples of situations for which you may need to produce your W-2 as proof of income. Other than your employer, you can also call on the professional tax preparer who filed your return for you. Even though you may never have accessed it, the preparer likely created an online file for you. Ask how to gain access to this file so you can get your W-2 online. Even if you need a W-2 that's older than the current year's tax filing, your employer and tax preparer should still have copies. When they transmit this information to the IRS and to the Social Security Administration, the data doesn't leave with the transmission. In fact, employers are required to keep their copy of employees' W2s for at least four years. Tax preparers are required to keep copies for at least three years, although most keep copies much longer than this. But if you use tax preparation software to file your own return, you'll typically have access to your account (including your W-2 form) for a longer period; for example, six years or more. So your search for finding prior-year copies of W-2s begins the same way as a search during the current tax year – checking with your employer and tax preparer. How do I Check My Previous Year's Tax Return Online? A successful search to find your W-2 online may take you on a different route than to your local employer or tax preparer – straight to the IRS. If you visit the IRS online, you'll be able to create a free account to view, download and print your tax returns and attachments, which include W-2 forms. You can only get an actual photocopy of a W-2 if you filed a paper return, but the IRS also provides certain tax transcripts, which include the information you need from your W-2. Unlike an exact duplicate of a tax return, a tax transcript is simply a summary of the data on your return – it's not an actual photocopy of the return. If you access certain types of transcripts online, or if the IRS mails these transcripts to you, this service is free of charge. It's only if you want an exact photocopy of your W-2 that you'll be charged a fee. The IRS offers a selection of different types of transcripts to fit your particular needs. Choose the Wage and Income Transcript if you only need the information that was included on your W-2. But if you find you need more in-depth documentation than this, the IRS provides three other transcript types that also include your W-2 information. Wage and Income Transcript. The W-2 is one of the income documents the IRS calls "information returns." The Wage and Income Transcript includes the data on these information returns. You’ll have online access to your W-2s for the past 10 years with this transcript type. If you need the current year’s W-2, however, you may have to wait until July to retrieve this data. Tax Return Transcript. 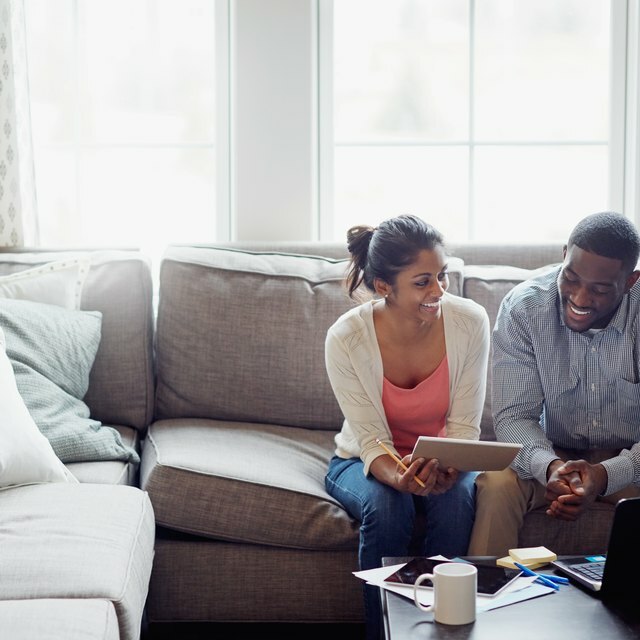 If you need a little more of your tax information than just your W-2 data, the Tax Return Transcript typically provides the information that you'll need when applying for certain types of loans such as a mortgage or a school loan. The Tax Return Transcript includes your adjusted gross income as well as the forms and schedules that you submitted with your tax return. You'll be able to order the Tax Return Transcript for the current year's tax return and up to the past three years of returns. Tax Account Transcript. This type of transcript is available for tax returns you filed during the past 10 years (if you request your transcript online) or the current tax year plus three prior years (if you request the transcript by mail or phone). The Tax Account Transcript includes basic data such as your marital status, taxable income and adjustable gross income. Record of Account Transcript. This comprehensive transcript combines the data from the Tax Return Transcript and the Tax Account Transcript into one comprehensive report. You can get a Record of Account Transcript for your current year’s return, as well as returns you filed during the last three years. Through the 2018 tax year, 1040-series tax transcripts include data from numerous types of tax return forms that are available to taxpayers. But beginning with the 2019 tax year, look for the new streamlined Form 1040 to combine the current 1040, 1040A and 1040EZ forms into one. Visit IRS.gov/transcripts to create a free account and get your W-2 form and tax return information online. Select the “Get Transcript Online” option and follow the prompts. To register your account and verify your identity, you’ll need to provide your name, address, date of birth, Social Security number and mailing address from your last tax return. You’ll also need to confirm your identity by providing an account number from an account that’s in your name such as a credit card, mortgage loan, car loan or a line of credit. And you’ll also need access to an email account. After you’ve entered all this information and the IRS approves your account, you’ll be able to view, download and print your W-2 information and other data from your tax return. If you’d rather receive your transcript through the mail, you’ll either create an online account or send a form through the mail to the IRS to request the transcript. Visit IRS.gov/transcripts to access the “Get Transcript by Mail” option. To create your online account, provide your date of birth, Social Security number (or Individual Tax Number) and mailing address from your last tax return. After you submit your request, the IRS will send your transcript and you’ll have it within five to 10 days. You can also download and print IRS Form 4506-T (Request for Transcript of Tax Return) from IRS.gov and mail this completed form to the IRS at the address listed on the form. The IRS will send your transcript by return mail. If you have questions, or if you want this form mailed to you, call the IRS at 800-908-9946. If you want an exact duplicate of your W-2, which is what a photocopy provides, you'll have had to file a paper tax return with a copy of your Form W-2 attached. If you filed this way, you can get a photocopy for a fee of $50 for each return you need. (The IRS doesn't provide free photocopies as it does for free transcripts.) Visit IRS.gov and download Form 4506 (Request for Copy of Tax Return). After you complete this form, include a check or money order for $50 made payable to "United States Treasury" and mail the form and payment to the IRS at the address listed on the form. If a lender is waiting on your W-2 information to qualify you for a loan, such as a mortgage or a student loan, your deadline may be fast approaching. But you'll need to work fast if the only way for you to provide your tax information is from IRS records. The IRS requires your signature approval before it can send a copy of your tax return or a transcript to a third party. You'll first have to download Form 4506 (if you're requesting a copy of your return sent to a third party) or Form 4506-T (if you're requesting a transcript sent to a third party) from IRS.gov. Complete the applicable form, following all the instructions for how to send your tax information to a third party. IRS: How Do I File My Return?